Please make sure the bottles are clean. Check that bottle fill levels are nice and high. Check that foil or plastic capsule wrappers are not dented, crooked or crimped. Make sure labels are clean and placed on straight. Select bottles that don’t have a vertical seam along the front of the bottles. Off to either side is ideal. 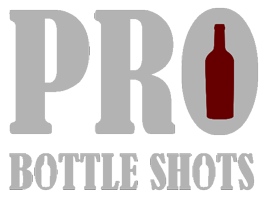 For whites and light reds, a seam on the rear of the bottles can show through the front. Check that there are no imperfections in the glass like bubbles, globs, nicks, or whachamacallits. I will provide color-corrected dust-free images but additional photoshop work to remove bottle blemishes will be billed at $125 per hour.